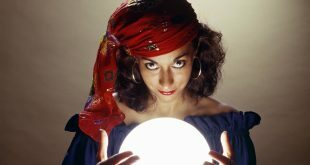 Home / Psychic Readings / What are Aura colors and what are their meanings? Every one of us is surrounded by an egg-shaped field known as Aura. 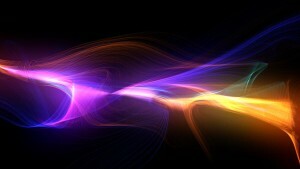 The aura is described as the electromagnetic energy field which seems to surround and be generated by the human body. 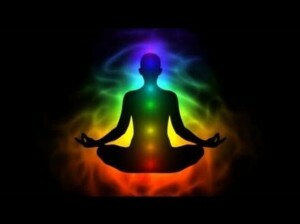 The Aura reflects its person’s physical and emotional conditions. The Aura consists of 7 layers. Each layer has its own unique frequency. They affect each other and the individual’s feelings, emotions, thoughts, behavior, and health. Red is a strong color associated with vital energy, enthusiasm for life. Red Aura people are enthusiastic, energetic, and eager to live new adventures in life. They love to try new food, travel, and sexual partners. Red Aura people get angry very quickly, and lose their temper easily. Usually, they are physically and mentally strong individuals. They also have a competitive nature which drives them to great success in life. They are not good team players because they don’t like to take orders from anyone. However, they are good business owners, because they prefer to run their own business. Pink a soft color indicates softness and love. It’s a color of kindness, compassion, loyalty, and gentle nature. Pink Aura individuals are very romantic people. They fall in love easily and once they find their soul mates, they become loyal forever. People with pink aura are highly sensitive to other people needs and they also have strong psychic abilities. They also are very creative when it comes to new ideas and strong imagination. The pink Aura person are great novel writers, poets, and song lyrics writer. He is also a peace-loving person who hates conflicts and injustice. They strive to make the world around them a better place and they are ready to make sacrifices to make this idea come true. Green indicates love, compassion, and desire to help other people. It is a color of harmony, balance, and growth. Green Aura people are nature-loving people. They have a strong aye for beauty, and strive for perfection in everything they do. They like gardening, decorating and cooking. Green Aura person will ensure his/her appearance, and everything surrounds them has to be both practical and beautiful. Green Aura owners choose their friends very carefully. They also tend to be health-conscious and ensure their diet is healthy, tasty and nutritious. Orange color indicates ambition, creativity, and sexual energy. It’s a color of energy, sociality, and vitality. Orange Aura people are very energetic and energetic. They don’t mind to be the center of attention, and they love to be in the company of others. They are very easy going people, and they can make people feel at ease in their company. Orange Aura people usually are kind and honest. They may lose temper easily but on the positive side, they are quick to forgive. They are forgivers and don’t hold hard feelings. Yellow indicates happiness and optimism. It is a color of sunshine, new ideas, and mental clarity. Yellow Aura people are very intelligent, logical, and analytical. They usually excel in careers involves study and teaching. They are great scientists and inventors. They tend to be hard workers, and they easily become workaholic people who put their work above their personal relationships and social life. Individuals with yellow aura doesn’t fear loneliness and they are very happy in their own company. The yellow aura person is very confident and a brilliant communicator. He can express and display his own ideas in the crowds and will inspire them. Blue color indicates peace, quietness and truth. Blue is a color of calm and seriousness. Blue Aura people tend to have strong personalities. They are great politicians, because they are great communicators. They have the ability to convey their ideas, thoughts, and views to others. Purple color indicates a blending of heart and mind . It is a color of mystery and philosophy. People with purple aura tend to have high imagination, intuition, visualization, and connection to the world of dreams. They usually don’t have a wide circle of friends, however the few friends they have are respected, admired, and loved. People with purple aura tend to be unlucky in love, but they are very loyal once they find their soul mate. Gold color indicates charm and charisma. It is a color of attractiveness and pride. 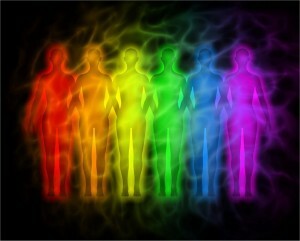 The gold aura individuals are very attractive and they like to be the centre others’ attention. They like to gain attention and admiration from other people. They like to be the sparkling gem in a stunning crown. Gold Aura people are very sociable and they have a lot of friends, however they hate to be criticized. Silver color indicates sensitivity and intuitiveness. It is a color of wisdom and spirituality. Silver Aura people usually are very wise, intuitive, and sensitive. They usually make the right decision following their wisdom and intellectuality. Silver Aura person is known for their admirable personality, attractive look, and talent. So, they are seen as very lucky and blessed people. White color indicates purity, spirituality and angelic qualities. It is a color of truth, and innocence. White Aura people usually are very pure inside. They are faithful and forgiving. Also, if there are sparkles of white lights, then angels are near. It also may indicate pregnancy. Black color indicates dark and negative energy. Black aura may also indicate that the person has some health problems.